Intercom systems are a smart security measure for almost any commercial business. Not only are they an effective modern solution for communication within an organisation, but they’re also a useful way to protect your business from unwanted intrusion. Almost any business across Ireland can access unique advantages with an intercom system. Here, we’ll take a closer look at some of the ways that an ESP Security intercom system would benefit your company. 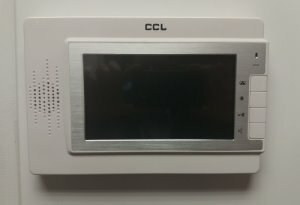 The purpose of an intercom system is to allow companies to communicate with clients and people visiting the property before allowing them access to your premises. This has obvious implications for security, but clear communication can also offer other benefits too. For instance, an intercom system can allow visitors to ask for help when they feel lost or confused. Additionally, these solutions can also let workers communicate with other members of the team quickly, and effectively. An intercom system allows you to determine exactly who should be allowed access to your property. This generally deters crime, as criminals are likely to feel uncomfortable about identifying themselves. Additionally, if you are visited by someone who seems suspicious, or someone you don’t know, then you can have security go and meet these people, rather than permitting them to wander unattended around your premises. Intercom systems are a good way to make sure that all team members within your company know which parts of your business are restricted. Many organisations use these solutions as a way for visitors to both announce their presence, or request a meeting with someone specific. They can also be implemented into elevators, which remain grounded unless permission is given to the person identifying themselves. Finally, the ESP Security intercom systems can work in combination with other solutions to security. Why not call Brian from ESP Security today (01-8391188) to discuss and offer you security solutions that can be tailored to your precise business needs. For instance, you might choose to have video surveillance technology installed alongside your intercom system, to ensure that you can better identify the people approaching your business. In fact, video equipment can often make your company more secure, as you can record tapes of who enters and exits your business to be examined in the case of a crime.